The Artesia Public Schools and school-site mobile apps that have been available for the past several years are no longer functional and a new system is being implemented, the APS Board of Education said Monday. Push notifications to the previous apps were utilized to make parents and staff aware of various happenings in the district. Due to the unavailability of the apps, the district is transitioning to a text messaging service through School Messenger. This is the same company that facilitates automated phone calls regarding student attendance, school safety issues, and other notifications. Parents must reply “Y” to continue receiving text messages from the district. Anyone who does not receive the invitation should contact their child’s school to verify they have the correct phone numbers on file. The school secretary will then provide instructions on how to opt into the text messaging service. In the event of an emergency, the APS will utilize School Messenger, which will send a voice call to every phone number in PowerSchool, a text message to every SMS number, and an email to every registered email address the schools have. School Messenger was originally used to voice call available numbers with notices of student absences, weather delays, etc. In other business Monday, APS Superintendent Dr. Crit Caton reported the facelift at Bulldog Bowl is on track for completion by Aug. 24, the date of the football team’s opening game against Carlsbad. The upper-deck reserved seating is receiving new seat backs, all of the railings inside the Bowl will again be “Bulldog orange,” and the berm has been re-stretched. The board also approved an amended Joint Powers Agreement between the district and the City of Artesia for construction of Phase II of the Artesia Aquatic Center. Caton reported that according to the schedule, the outdoor portion of the center, which will include a splash pad and water slides, is slated for a June 2019 completion and the inside portion, which includes a competition pool, is expected to be complete mid-August 2019. Assistant Superintendent of Instruction and Federal Programs Danny Parker reported to the board the results of the 2018 PARCC scores. Parker reported Los Alamos was first in both categories, Rio Rancho was second in math, and Farmington was second in ELA. 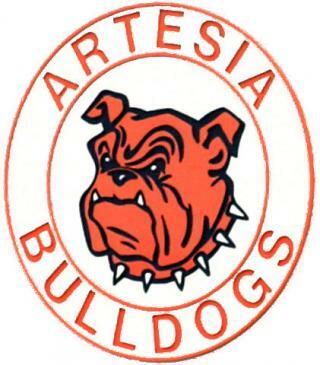 “We’re very pleased with the results,” he said, noting Artesia was above the state average in every test across the district, which includes; grades 3-11 ELA and grades 3-8 math, algebra, geometry and algebra II. Parker also received the board’s permission to purchase a new short-cycle assessment program for the district in the amount of $43,284.50 and to renew the subscription of the I-station reading curriculum in the amount of $28,647.83. Assistant Superintendent of Personnel and Student Services John Ross Null reported 10 out of the 11 senior students who had attended summer school graduated, bringing the Class of 2018’s graduating total to 246 students. Assistant Superintendent of Operations Thad Phipps received the board’s approval to accept a $24,457.56 quote from Quill Incorporated to purchase copy paper for the district and their approval of the Activity Bus Maintenance Contract with Kaiser Incorporated, which includes the maintenance of the district’s 10 activity buses at a rate of $1,137.50 per month, per bus. “At the end of last year, we had an enrollment of 3,785 students, and today, on preliminary numbers, we had 3,765 students enrolled to begin the 2018-19 year,” Caton said. He also reported that with 22 employment announcements, published in Sunday’s Daily Press, the district is fully staffed to begin the year. Caton also received the board’s approval to sign a petition for the amendment to restrictive covenants of the Barnett Addition, in which the school owns two teacherages, and that every resident within that division was being asked by the owner of the property to sign. The petition is asking the covenant which states the property at South 13th Street and Hermosa Drive, the former Hermosa Drive Church of Christ, will be sold as a church be removed in order for the property to be sold to any buyer for any other purpose than a church. The next meeting of the board will be held at 6 p.m. Monday, Sept. 10, in the Lowell M. Irby Board Room at the Administration Building.